Can I just say that the so-called "supermoon" sucked? 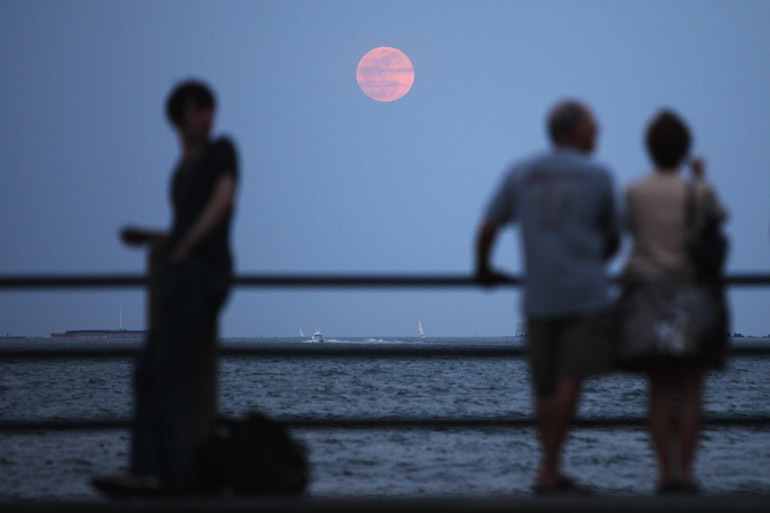 For some reason, it was hyped by the media, even though it was only 0.8 percent larger than last April's full moon and so much smaller than 2011's biggest (see my post from last year), when the moon was 248 miles closer to Earth than it was Saturday night. Had I done more research on it instead of blindly believing the headlines, I probably wouldn't have photographed this scene on the Battery last night. The shot overlooks Charleston Harbor with sailboats and Fort Sumter on the horizon. 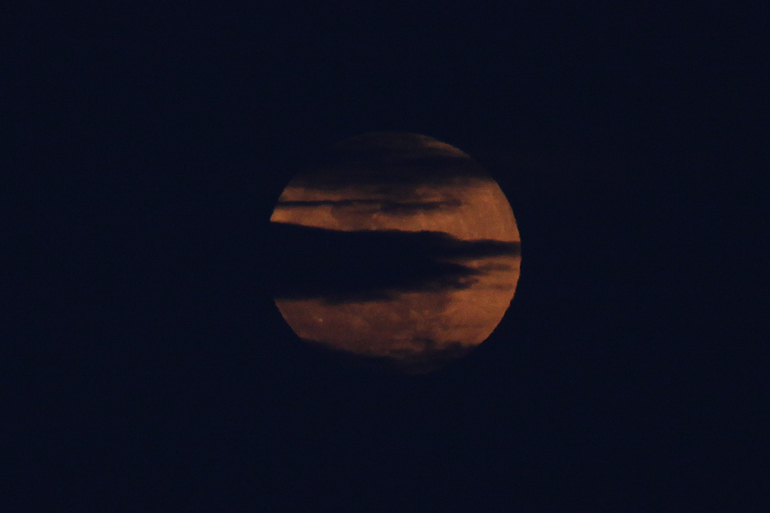 A closeup after the moon emerged from a thick cloud bank on the eastern horizon. 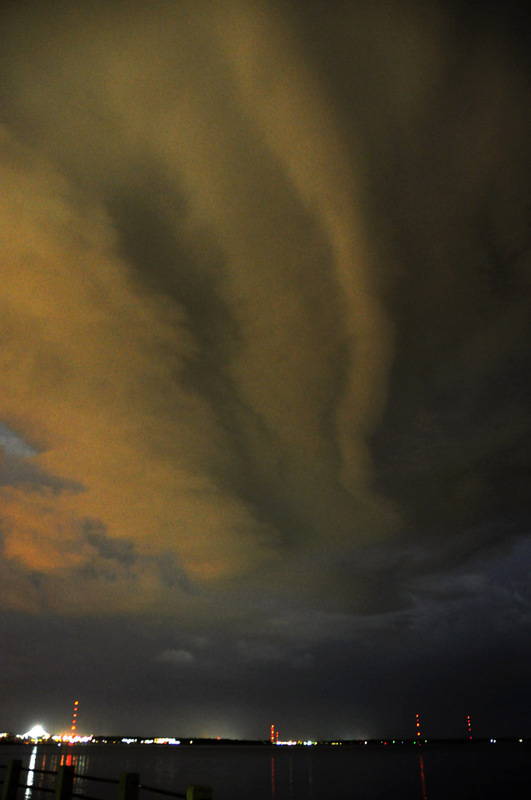 The clouds were a hindrance to viewing the moon at its largest, just as it rises. Earth's atmosphere, of course, magnifies the moon at that point. Later on in the evening, some more clouds moved in, and we had a little lightning. I caught the very end of the show, long after it had moved far out to sea. 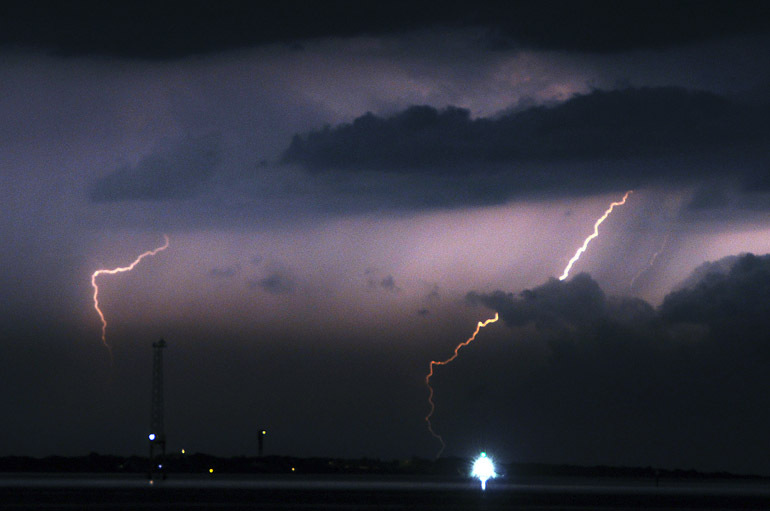 This looks across Charleston Harbor as lightning strikes in the Atlantic Ocean off Sullivan's Island.